Founded in 1894, filled with history of “ramblin’ wrecks” from Golden Tech (as their fight song proclaims) and state-of-the-art science and technological research, the Colorado School of Mines (CSM) provides one of the most unique higher-level educations with science, technology, and engineering focusing on solving “the world’s challenges related to the earth, energy and the environment.” Mines is not only a world-class research university, but also offers a tight-knit college experience with similarly-minded students willing to commit to the academic rigors that makes each graduate competitive in their field across the globe. Nestled in the valley of Golden with a continually-expanding and updating campus, the traditions of the past meld with the progressing future experiences through activities in which the entire Golden community participates. Some of the favorites are the age-old E-Days (Engineering Days) events in the spring semester, boasting the best fireworks in the valley. Since 1934, Golden visitors and residents have enjoyed watching not only the fireworks display, but the Clear Creek cardboard boat race, ROTC-Sponsored helicopter demonstration, trebuchet contest, and much more. Alumni from all across the globe travel back to Golden to share in these events. Parents of students, brothers, sisters, grandparents, aunts, and uncles, are are invited each year not only to family weekend, but to homecoming, commencement, and to numerous opportunities throughout the academic year. These events include connecting through attending sports and recreation activities, Oredigger music program performances, and community service projects through various fraternity, sorority, and student activity clubs. Visitors to Golden will find that the Colorado School of Mines Geology Museum “ranks #1 of 39 things to do in Golden” according to TripAdvisor–with free admission, no less. With over 2,500 specimens of mineral, fossil, gemstone, meteorite, and historic mining artifact exhibits, this museum is really a hidden gem. 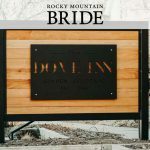 Literally a stone’s-throw distance from The Dove Inn, staying in the warmth of the Inn while exploring the Colorado School of Mines is a no-brainer. 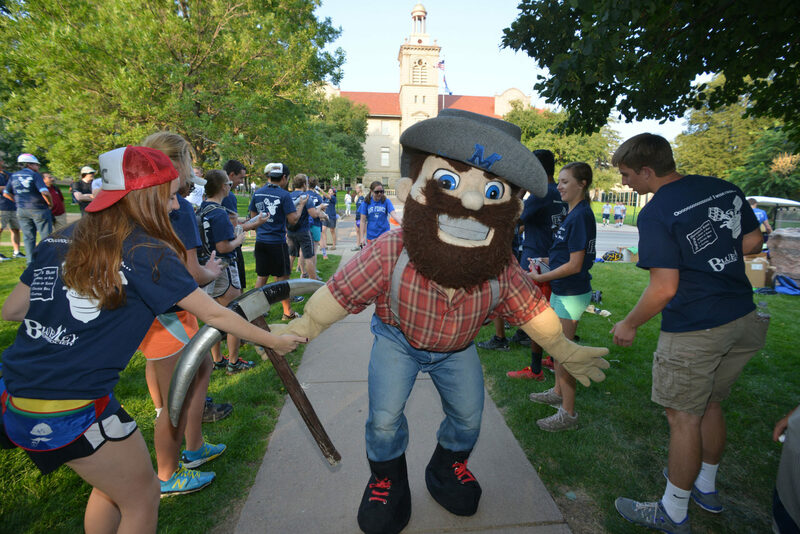 Whether you’re looking to spend a couple days exploring Mines’ rich history, cutting-edge research labs, and rich collections or an alumni reminiscing about your time at Mines, or a family member of a student desiring to spend some time exploring their world, staying in The Dove Inn will enable you to leave Golden refreshed and enriched. 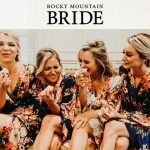 Tamara Carey is a Golden resident and alumni of the Colorado School of Mines. Santa Claus is coming … to Dove Inn! We wanted to let you in on a little secret. On the night of November 30th, Santa will be stopping by the inn for some photos and holiday cheer! 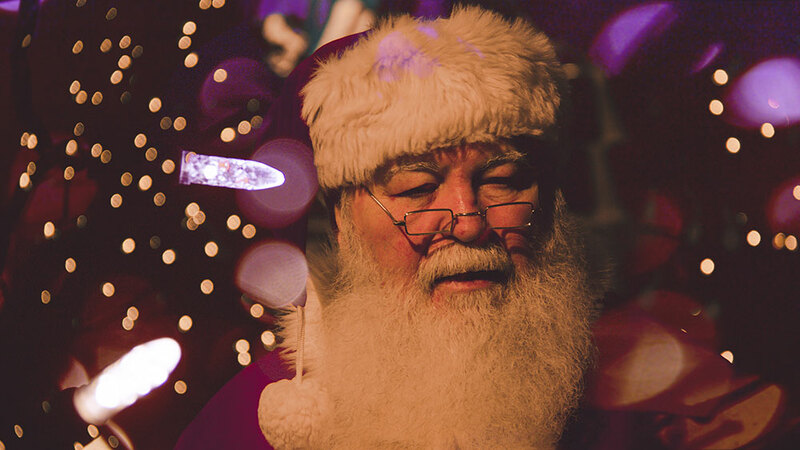 From 4 to 5:30pm the inn will be open to all the little ones who want an extra chance to see Santa. You can get a photo for your holiday cards, tell him what’s on your wish list, and try to convince him that you’ve been good this year. E-mail The Dove Inn (stay@doveinn.com) with the dates you would like to request to book your Haunted Golden Ghost Tour Package before its too late! 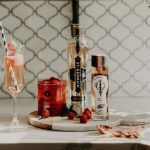 Taking over ownership of any small business, especially in the travel and hotel industry, is no small feat, yet somehow the new co-owners of The Dove Inn, Regan and Libby Foster, make it look easy and fun. The Grand Re-Opening Party they put together to showcase renovations of the 10 room historic Victorian home built in 1866 was no exception. From the renaissance style feast of meats, jams, cheeses, fruit and pastries strewn across a reclaimed beam of wood over marble to the wine pairings, custom-made kombucha mocktails, and live music by the incredibly talented Paul Dehaven, this Grand Re-Opening Party is in my list of top 3 favorite events. 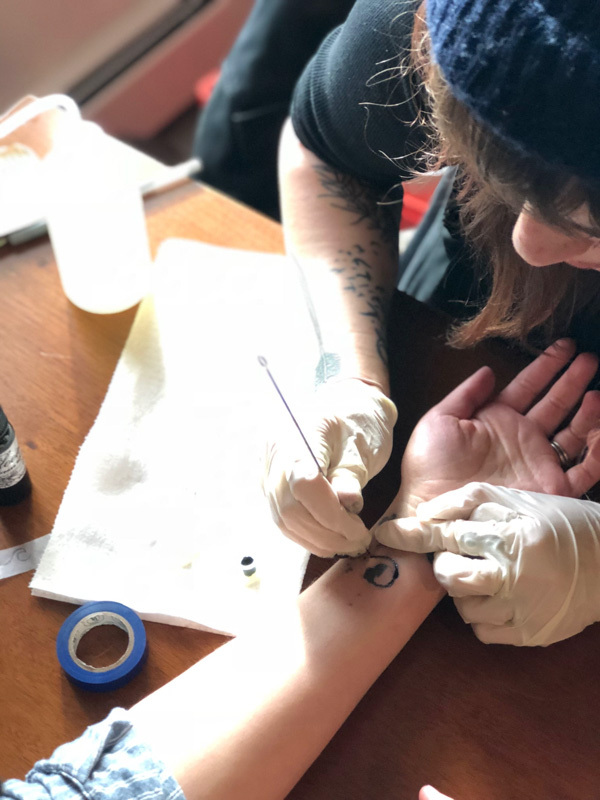 Attendees also had the pleasure of enjoying a vintage photo booth, relaxing chair massages and even the chance to get a stick and poke tattoo! 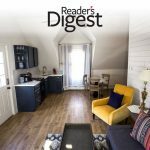 While The Dove Inn has been a Bed and Breakfast in Golden, Colorado for a couple of decades, the Fosters only recently acquired ownership in November 2017. 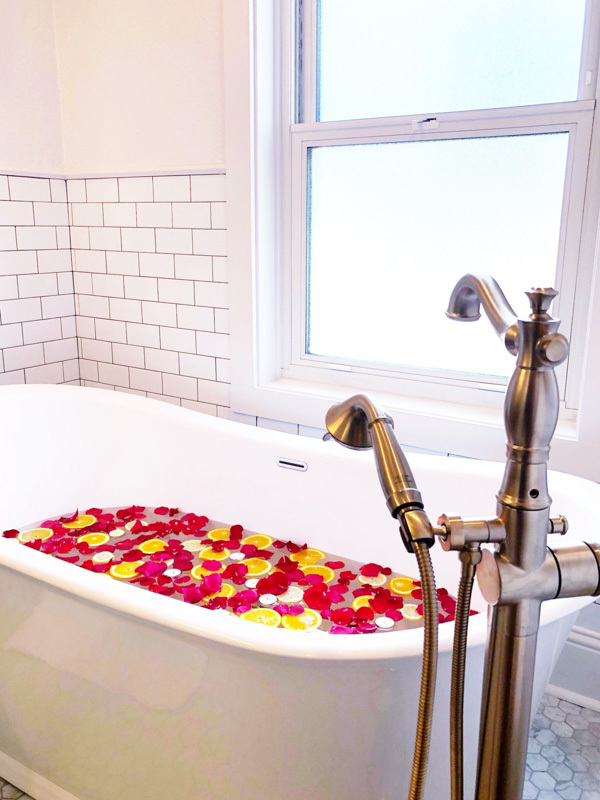 In December they temporarily closed its doors to do a full renovation before reopening on February 13, 2018 just in time to spoil Valentine couples with a fun and romantic getaway in one of the luxurious, soaking-tub complete suites. 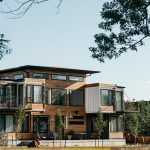 Libby and Regan put their hearts and souls into designing a new vision for the inn, fusing together aspects of modernism and minimalism with the charm and class of a previous era. After many walls were knocked down to open up spaces, original brick walls and floors uncovered, and more 1800s pieces brought in, the results were undeniably breathtaking. 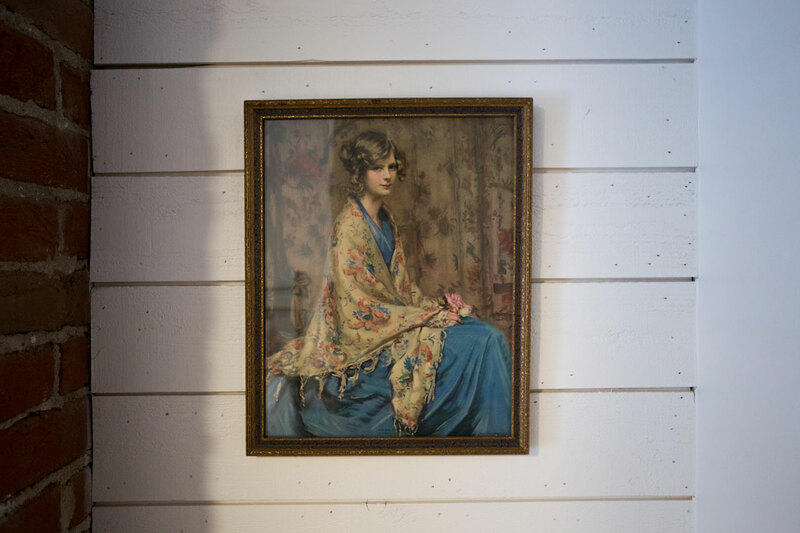 Around every corner is a visual ode to the bones that have always held this historic home together and yet, one also feels the warmth and coziness of a modern, classy and luxurious inn. Today, the entryway now brings the visitor into an open space concept that merges the lounge, dining and kitchen areas as if they were always meant to be a beloved space that draws people together over food, drinks and good conversation. This open layout wasn’t an accident. If you’ve ever met the Fosters, you know exactly what I mean because when you’re around these two and their darling baby girl, Evie, they immediately make you feel more than welcome – they make you feel like family. 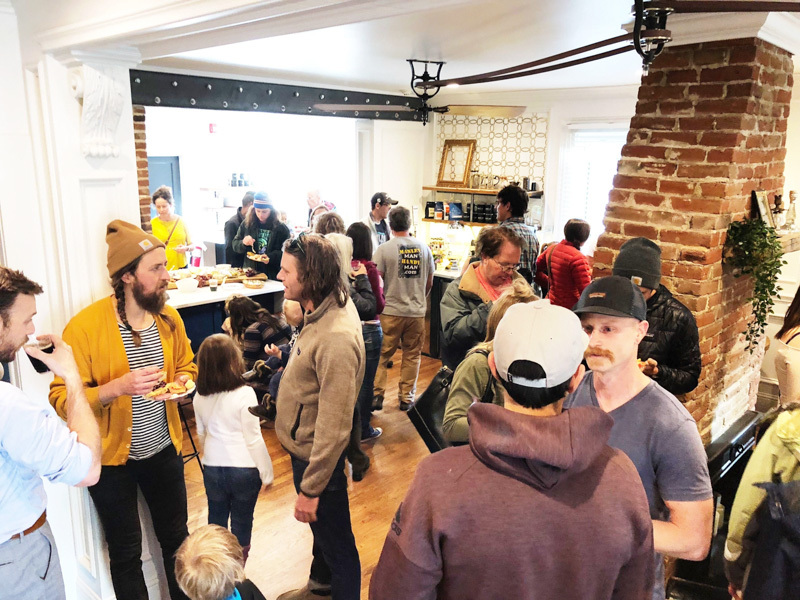 After hand-delivering invitations to as many Golden businesses as they could find, the Fosters also invited hundreds of Colordans to come out and tour their newly-renovated Inn. Over a dozen local (Golden and Denver) small businesses were featured at the party including Gold Mine Cupcakes, Happy Leaf Kombucha, Lady Bird Poppy Flowers, Colorado Plus Brew Pub, Indulge Bistro + Wine Bar, Earth Sweet Botanicals, Upstart Kombucha, and E5 Day Spa, which are in great company with fan favorite local goods stocked at The Dove Inn for guests (including but not limited to) A Different Kind of Jam, Alpen Dough, Huckleberry Roasters, Two Rivers Coffee, Coda Coffee, and Pangea Coffee Roasters. Guests love that The Dove Inn also regularly keeps Kombucha and Nitro Cold Brew on tap in the lounge. Yes, that’s right, cold coffee and kombucha on tap! The entire event was kicked off on the porch when members and staff from the Golden Chamber of Commerce gathered to speak their support to Regan and Libby preceding the official ribbon cutting. While the ribbon cutting with enormous scissors were a thrill to see, the truth is that this project and the entire spirit of The Dove Inn hospitality thrives in the hearts of Regan and Libby every day–a beautiful legacy of warmth and belonging that Baby Evie already exudes, too! If you didn’t get a chance to tour The Dove Inn, be assured it’s never too late! Contact Libby to schedule a tour, or just come on over to say hi! The address is 711 14th Street, Golden, Colorado. 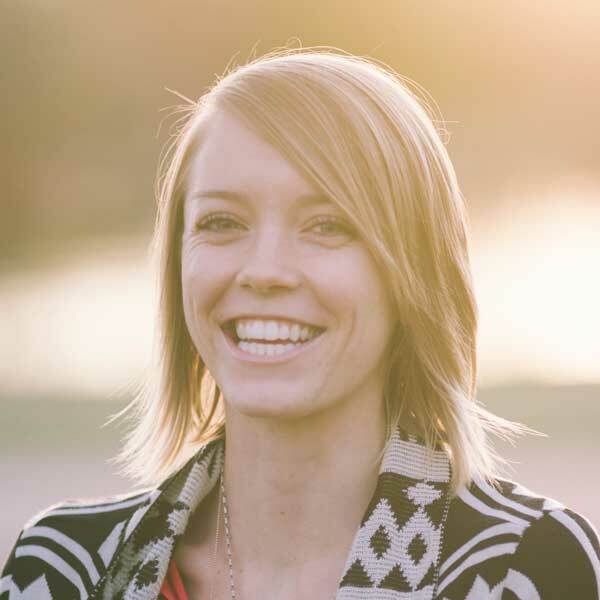 Justina Thompson is a writer, traveler, and Colorado enthusiast based in Denver.